20 million DirecTV cable customers are still without access to a number of popular channels owned by Viacom, after they were blacked out following an industrial dispute between the two companies. Now stretching into the fourth day, subscribers are unable to access 19 channels on the DirecTV service, including MTV, Comedy Central and Nickelodeon. Behind Comcast, DirecTV is the 2nd largest cable television service provider and accounts for some 20% of the entire cable market in the US. A seven-year agreement between DirecTV and Viacom has recently expired and Viacom is seeking a 30% increase in subscriber fees, equating to roughly $1 billion extra on the prior deal. How long will the DirecTV Viacom blackout last? Michael Nathanson, an analyst with Nomura, noted that he would “not be surprised” if the current situation continues anywhere from 10 days up to a month. The companies are yet to decide on a deal, meaning customers will be without some of DirecTV’s most popular programs, such as The Daily Show, The Colbert Report and Spongebob Squarepants for a yet unspecified period of time. Viacom have refused to comment on how long they will maintain the channel blackout. DirecTV is contesting the Viacom price-hike in light of the fact that ratings for many of the network’s shows have been steadily declining, with much of the content freely available online. DirecTV has launched the website “DirecTV promise” and the Twitter hashtag #DIRECTVhasmyback in response to growing customer anger over the channel blackout. 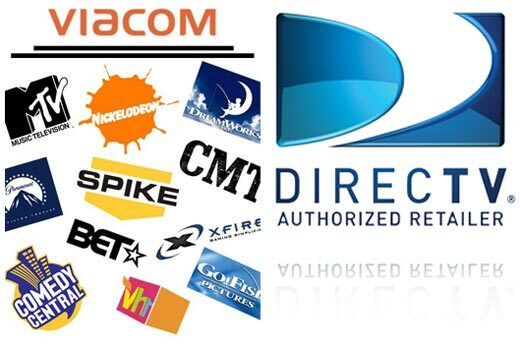 Have you been affected by the DirecTV and Viacom standoff? What’s your take?